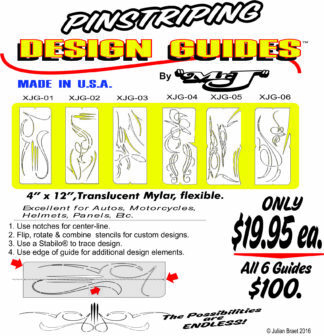 Hand paint pinstripes on vehicles, motorcycles, signs, etc. using our Pintstriping Stencils. Just apply the stencil, remove clear carrier, and paint in between the lines. The peel off the remaining stencil. That’s all there is to it! 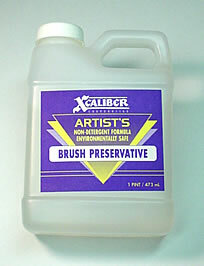 These stencils are great for dealer work! Each roll is 50′ long. 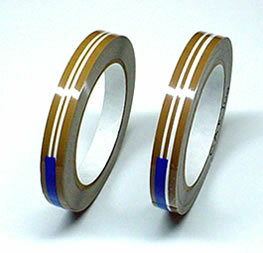 We also offer Single Stripe Stencils in 1/16″, 1/8″, 3/16″, 1/4″. 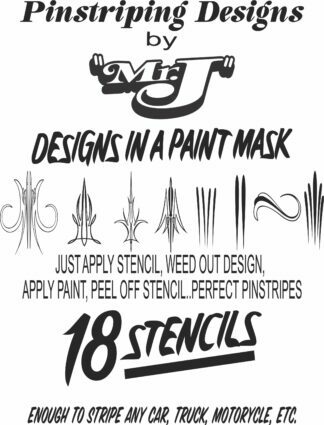 #108- 3/32" x 1/16", #111- 1/16" x 1/16", #103 – 5/32 x 1/16, #114 – 1/16 x 3/32 x 1/16, Single Stripe Stencil- 1/16", Single Stripe Stencil- 1/8", Single Stripe Stencil- 3/16", Single Stripe Stencil- 1/4"